Not many hotels keep their old visitor books in a safe, but such is the case at La Colombe d’Or (“The Golden Dove”), nestled in a bright and lazy corner of Provence. The books read like a who’s who of the twentieth century, and anyone lucky enough to pull on white gloves and study their pages will find signatures by a host of figures from the artistic canon—with drawings by Picasso, Miró, and Picabia, just for starters. Even Charlie Chaplin has added a comic self-portrait. The story of this legendary hotel continues to unfold all around a cool, mosaic-lined pool sheltered by cypress trees. 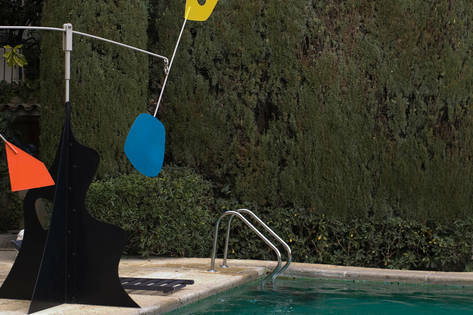 Out here the cicadas are in full voice and a towering mobile by Alexander Calder throws a pattern of shade across the sun deck. A ceramic work by Fernand Léger peers through a frame of dense ivy. 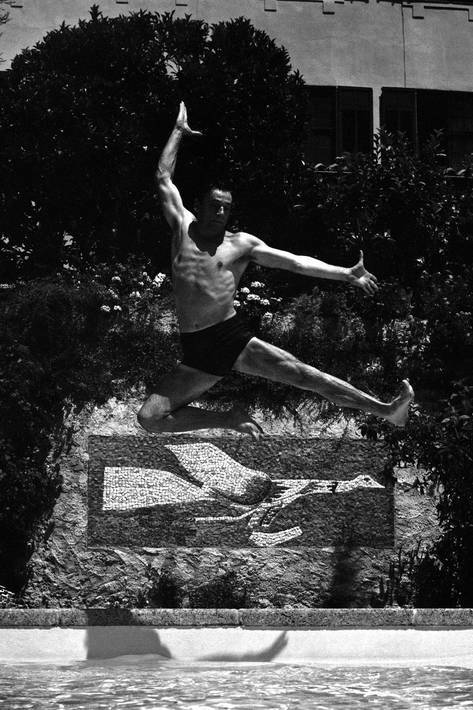 And, in keeping with the French name of this hospitable idyll, Georges Braque created a mosaic of a golden dove. “I’ve been here now for thirty-seven years, and it just seems to me to be the way it was exactly as before—except we’ve got wifi,” says Danièle Noël Roux, who runs the hotel with her husband, François. It was François’s grand-père, Paul, who set up first a cafe, then an inn, on the threshold of a village whose name was soon to be famous the world over. Saint-Paul de Vence is a superlatively beautiful settlement in a region— Provence—that is full of contenders. 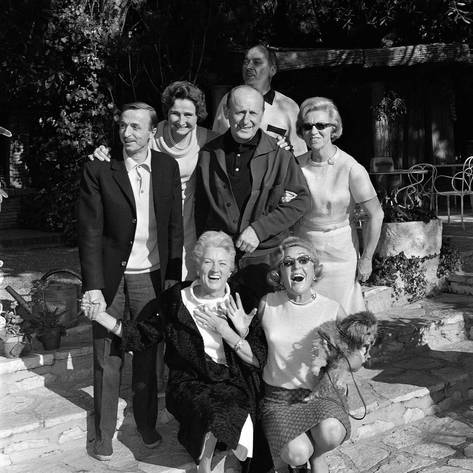 “He was quite a genius in some ways,” says Roux of the founder, who struck up friendships with Picasso and Matisse. So a golden age of European art found a home away from home, bathed in the golden light of this hotel’s terrace. “The lighting is still the same in the evenings and the painters used to come there and just eat,” says Roux. But they painted too, and under the embrace of a fig tree and amidst the scent of mimosa, you could still whip out an easel, while you wait for your salad and seafood. It’s nothing that a host of painterly greats haven’t done before you. 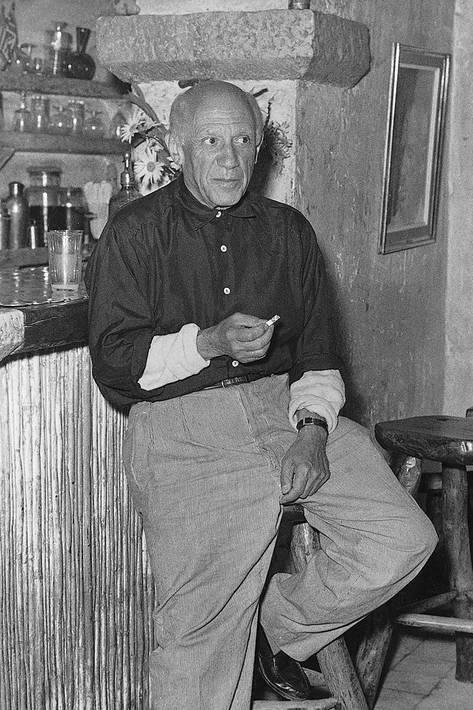 Gilles Ehrmann’s 1952 portrait of Picasso welcomes visitors to the rustic lobby. There was a time when your latest creation could be exchanged for a meal or a night’s stay. But in the twenty-first century, alas, this is no longer viable; as Roux says, “The world has changed.” The hotel now has a wooden gate and, crucially, a security system fit for an important collection of art. She notes that in 1959 most of the paintings in the dining hall were stolen. And although Paul Roux went on to recover them, it was a sign of less innocent times. On a lighter note, she shares an anecdote about the heist, “The Chagall was far too big to go out of the window, and Chagall came and said, ‘Why did they not steal my painting!? I’m a good painter!’” Clearly, the thieves lacked taste. 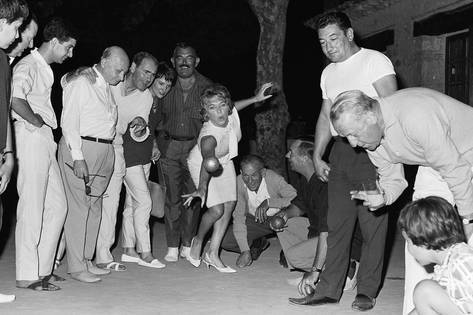 Along with Chagall they left behind works by Renoir, Léger, and Picasso. Now the dining hall is back to its former glory and, on the rare days of bad weather in the south of France, you can opt to dine in this gallery. The stone walls and coarse wood floors continue to set off a most remarkable domestic collection of art. And as Roux reassures, “The way of looking after the place, the way of handling the place is the same. 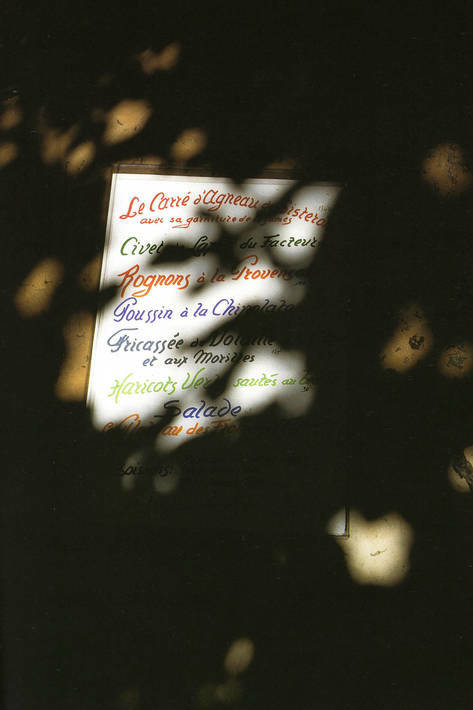 exactly the same.” So the hotel still offers peace, rest, and discretion along with fresh Provençal cooking and a magical setting that continues to inspire. You never know who you might meet on the terrace, and there is surely more history to be written in this corner of the world. 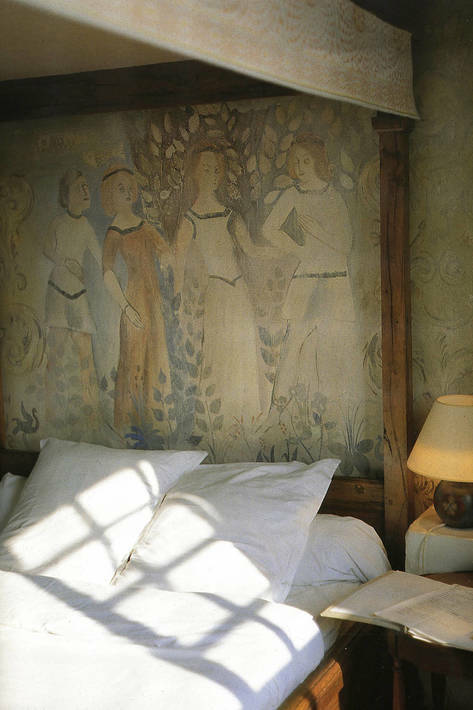 In a photo from La Colombe d’Or (Assouline), morning light illuminates one of the hotel’s thirteen rooms. There are also twelve suites. 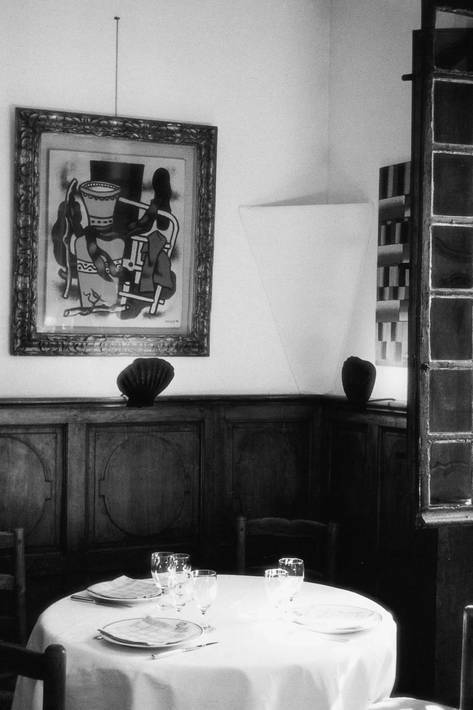 Fernand Léger’s Grand Vase, which eluded thieves in the 1959 heist, adorns a wall in the dining room. The canvas opposite is by Sonia Delaunay. Located in the heart of Saint-Paul de Vence, this Michelin-starred restaurant serves modern Mediterranean cuisine with an accent on seasonal flavors. 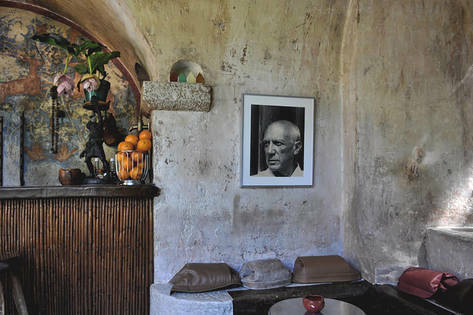 The two dining rooms, with their vaulted ceilings and stone walls, are exquisite, but if the weather cooperates, take a table on the terrace, amidst hibiscus and bougainvillea, and save room for the Arlette: a carmelized puff pastry served with blackcurrant and peach sorbet. 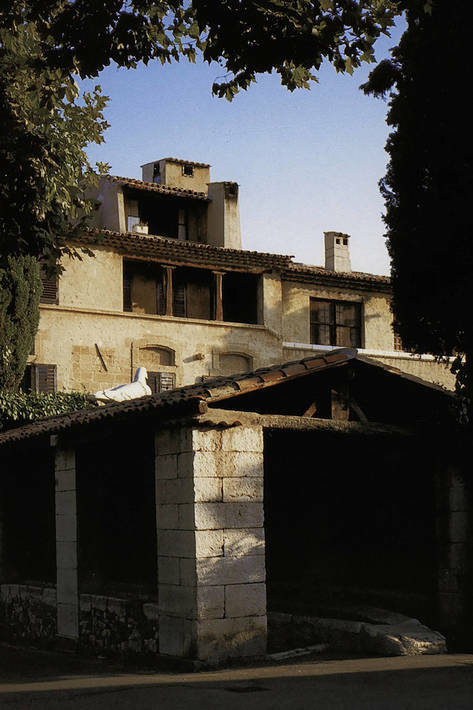 Founded in 1964 by Aimé and Marguerite Maeght—with the support of Braque, Léger, and Miró—this museum in Saint-Paul de Vence is home to one of Europe’s largest private collections of twentieth-century and contemporary art. The extraordinary building was designed by Spanish architect Josep Lluís Sert. “Bright, open, and timeless, it is a haven of peace and life for the artists and their works,” says director Olivier Kaeppelin. 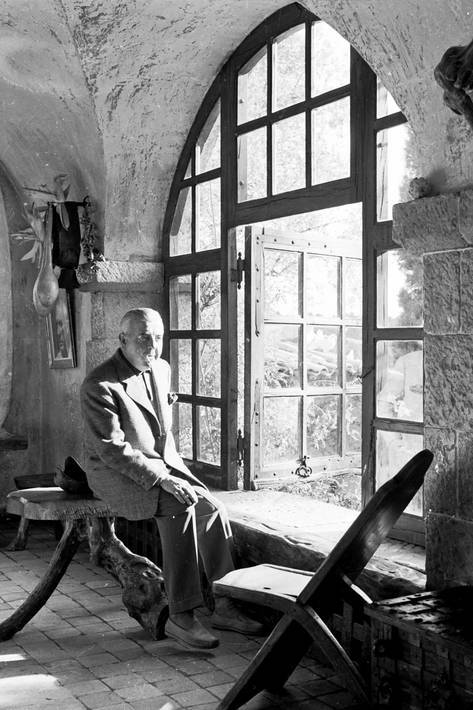 “If you want to see the Picassos from Antibes, you have to see them in Antibes,” said Picasso, who donated to the town the fruits of his 1946 stint working at Château Grimaldi. Today the fourteenth-century castle is home to the Musée Picasso, where the small but singular collection includes paintings, drawings, lithographs, ceramics, sculptures, and tapestries.